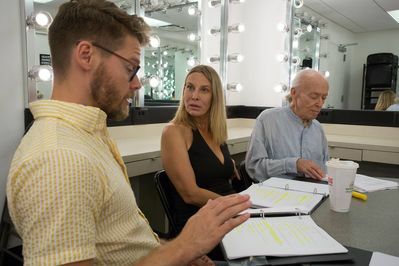 September 12th 2015 10,52 a.m.
we have some new pictures of Randy taken during the rehearsal of the staged reading “More Stars Than There Are In Heaven”!! As you already know, the reading will be on stage on September 27th as part of the Provincetown Tennessee Williams Festival. September 5th, 2015 3,07 p.m.
we added to our gallery a picture of Randy with the director and the other cast members of the staged reading “More Stars Than There Are In Heaven”!! In the reading, on stage on September 27th as part of the Provincetown Tennessee Williams Festival, Randy will play the role of Tennessee Williams. 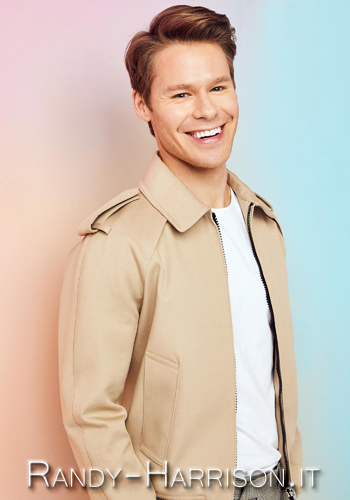 To have more information about the event you can read the news posted on August 14th, 2015. 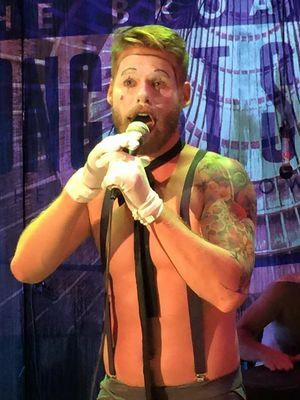 August 27th 2015 7,09 p.m.
We added to our gallery a lot of new pictures taken during Randy's third performance with The Skivvies in Provincetown!! August 25 2015 9,37 a.m. 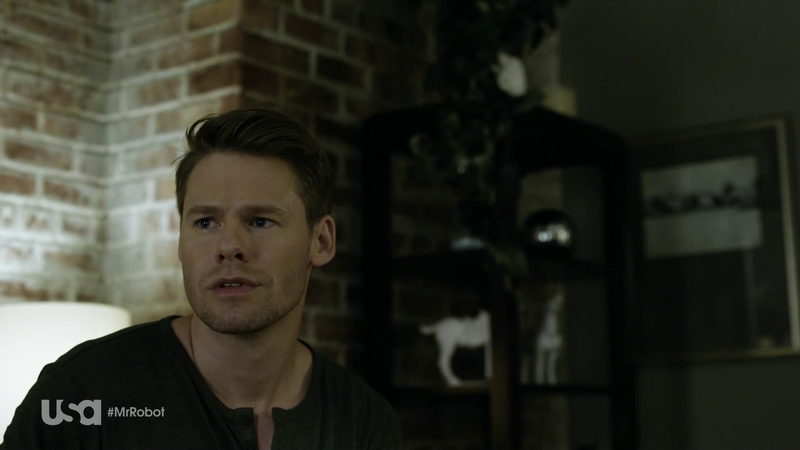 Here we have some HQ captures of Randy in the 9th episode of the tv series "Mr. Robot", titled "eps1.8_m1rr0r1ng.qt", that aired on August 19th 2015. 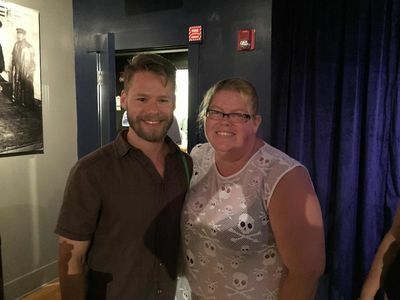 August 23rd 2015 4,04 p.m.
August 23rd 2015 9,59 a.m.
We added to our gallery a lot of new pictures taken yesterday, August 22nd, during Randy's third performance with The Skivvies in Provincetown!! 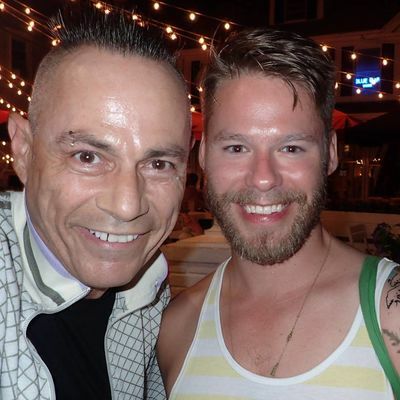 August 22nd 2015 10,04 a.m.
We added to our gallery some new pictures taken yesterday, August 21st, during Randy's second performance with The Skivvies in Provincetown!! 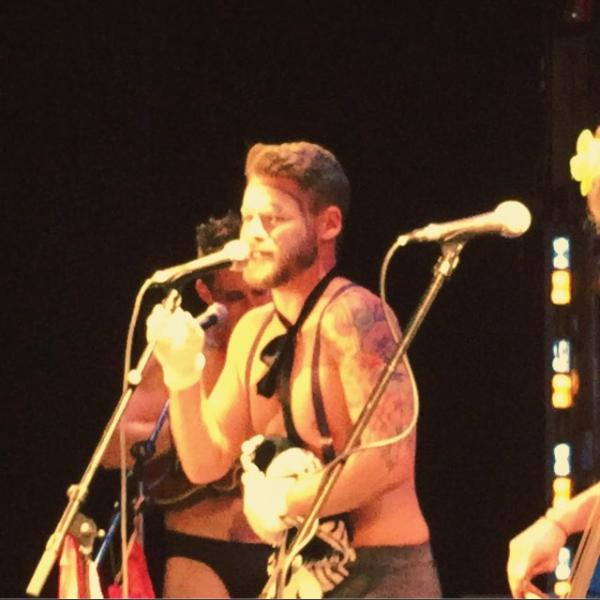 August 21st 2015 10,32 p.m.
August 21st 2015 5,40 p.m.
we have some more pictures taken yesterday during The Skivvies' show!!! 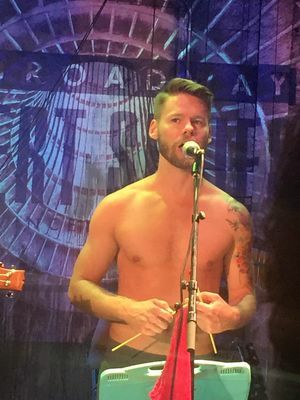 August 21st 2015 10,18 a.m.
we added to our gallery a some new beautiful pictures of Randy's performance with The Skivvies, they were taken yesterday in Provincetown (MA)!! We also have a couple of pics taken in the backstage, click HERE to see them! !